"I forgot to mention that she stole my money." Hats off to you, Sire! And may this be the first of many, many more to come. Any chance that it will be available in Audible US? Not sure actually. I assume you could get it delivered by post, although that might be slow. If you're downloading it then I suspect you can just do that from iTunes or Amazon or whatever. SYN SEA 7 lost that THREAL with THESTAL. That made ANDERSU very SADCO with NESHIPS. DWYT- DWASS- SCHAR , too. CONCOMM - CONSTARS- CONNICARS- COMETS! Now they got FACALL- FPALL- FAMAK- FAMIT- FEMPO! Now you got the movie " KK" - CANNES! 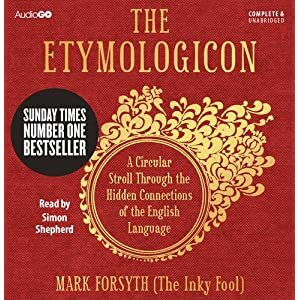 I had no choice but to buy the ETYMOLOGICON. Firstly, the aura of magic from H P Lovecraft's NECRONOMICON. Secondly, the delightful red cover. And of course it was about the origins of words. 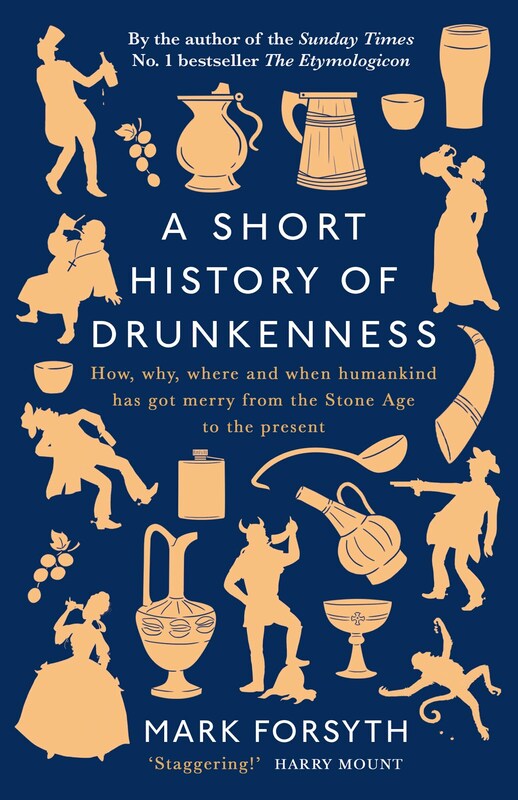 It is of course a book. I want books. I want words in a book which I can hold in my hand, not the popping of electrons in a digital device. It is a book. And the content is lively, engaging and often novel (and I have read many books on this topic. Congratulations! My only lament is that each chapter and each words lead not merely to the next chapter but to more words which could have appeared. So the hairy-breeched Gauls wore bracas which became French bragues which led to braguettes and brackets. But the Gauls have thereby become purveyors of underwear to much of Europe. Bracas (still going strong in Italian) also gave us Spanish bragas and bragitas, German Bruch and Dutch breuk, and the English breeches. These appear in Scottish as breeks and American as britches. Long live the Gauls!